Nov 4 - WIZKIDS/NECA ANNOUNCE QUARRIORS! FOR iOS! Nov 1 - Quarriors! is Coming to iOS in November! Qua-Boom! 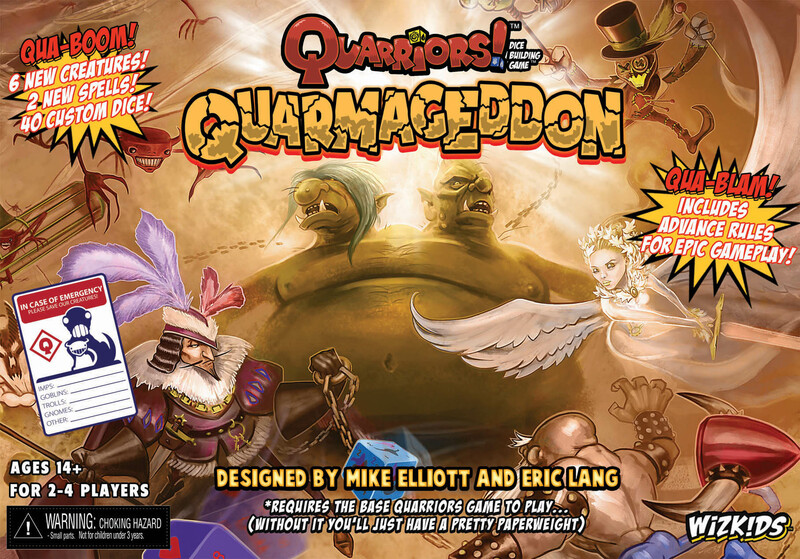 After an epic battle between Quaxos and the Three-Eyed Dragon of the Quarmageddon - the Quarmageddon is released upon us! 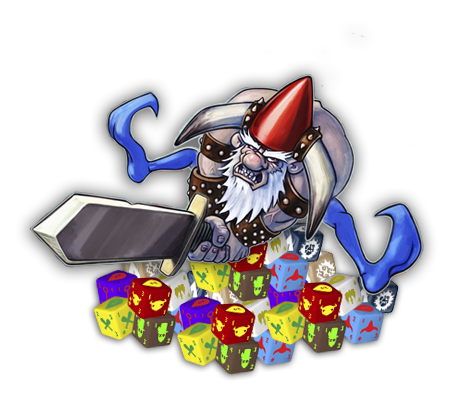 The second expansion set to the Quarriors™ Dice Building Game™ adds 40 new custom dice powering 6 new Creatures and 2 new Spells for you to bring a serious smack-down to the battlefield of hexahedron monster combat. Some battle-hardened Creatures come equipped with a new "Immunity" ability so they can laugh off whatever your opponents throw at you! No guts - no Glory! Click to Participate In Quorlds, The Quarriors World Championship! An Updated Rulebook for Quarriors! Please visit the How To Play tab to download the new Rulebook!